It’s been some time since I posted something I’ve baked on here! I’ve been baking things, I’ve just been a bad blogger and not taken any pictures of anything. And posts without pictures are boring. Super boring! Also I was without internet for about a week and a half. I almost died. So about a week ago I made sure to have this cake done in the morning so I wouldn’t forget to take pictures of it. What usually happens is, I finish making something when it’s dark out. So I tell myself “I’ll wait til tomorrow to take pictures!” but then I usually give in and eat it and then never take pictures. I have zero willpower. None. So today I made this fantastic cake. Feel like dying a little bit? All you have to do is take a bite! 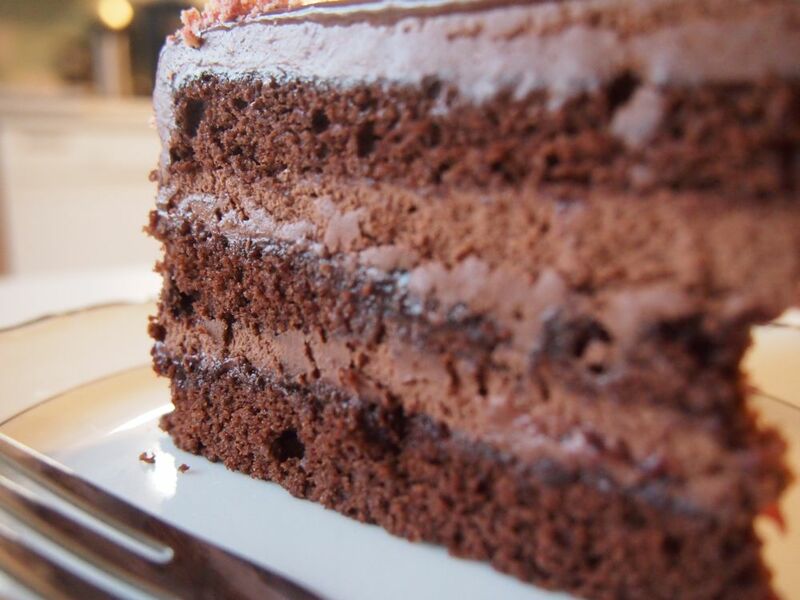 The cake portion of this beast is a chocolate cake that uses cream as the fat as opposed to oil or butter. 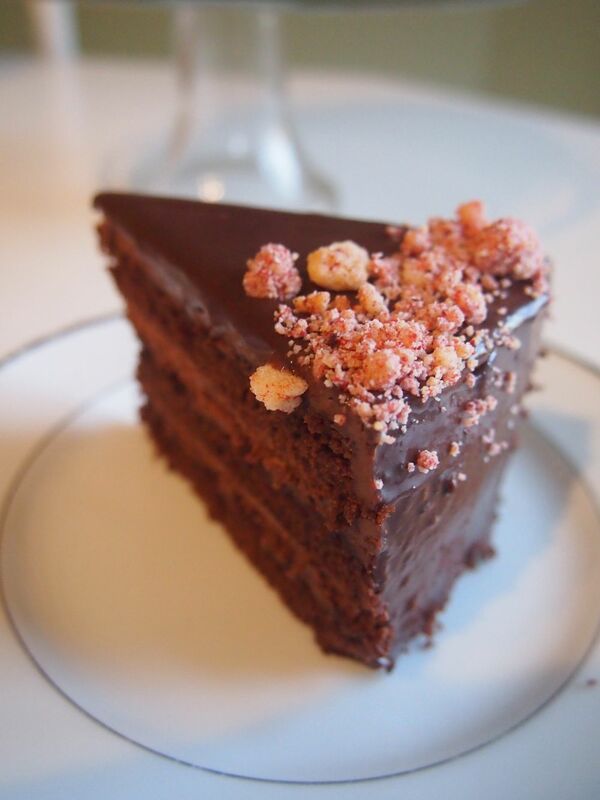 The result is a very tender, delicate cake with a fine crumb. It’s fantastic. 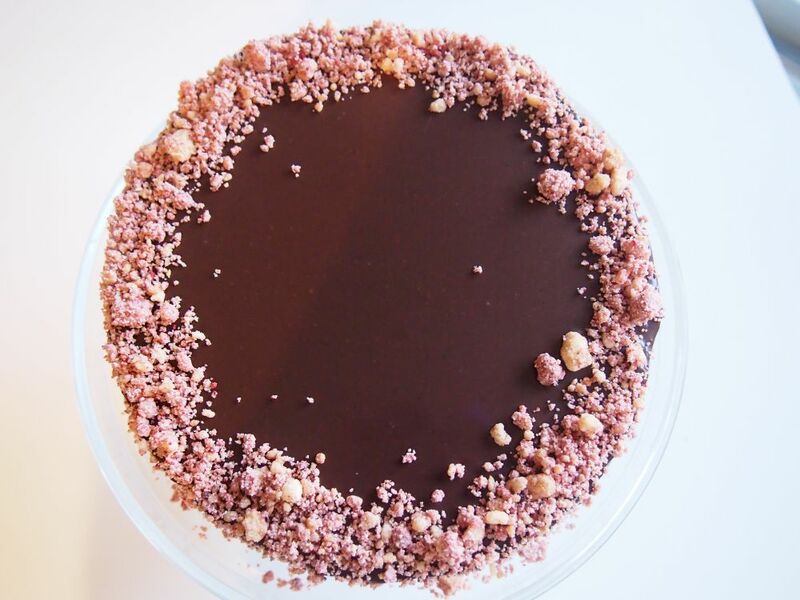 Layered in between is a simple whipped ganache and a fine smearing of raspberry jam for some sweet tanginess. 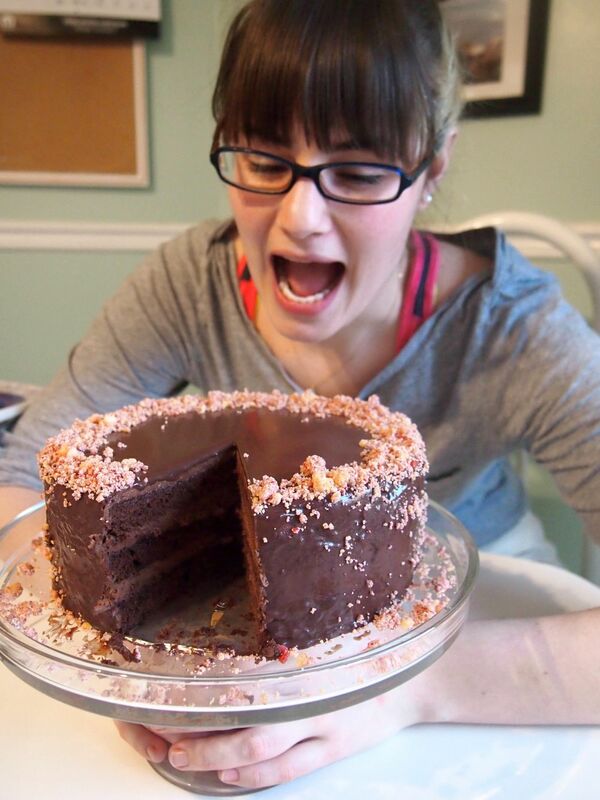 To top it all off, it’s covered in a ganache glaze and decorated, well, however you want to! I made a raspberry milk crumb. Cute! 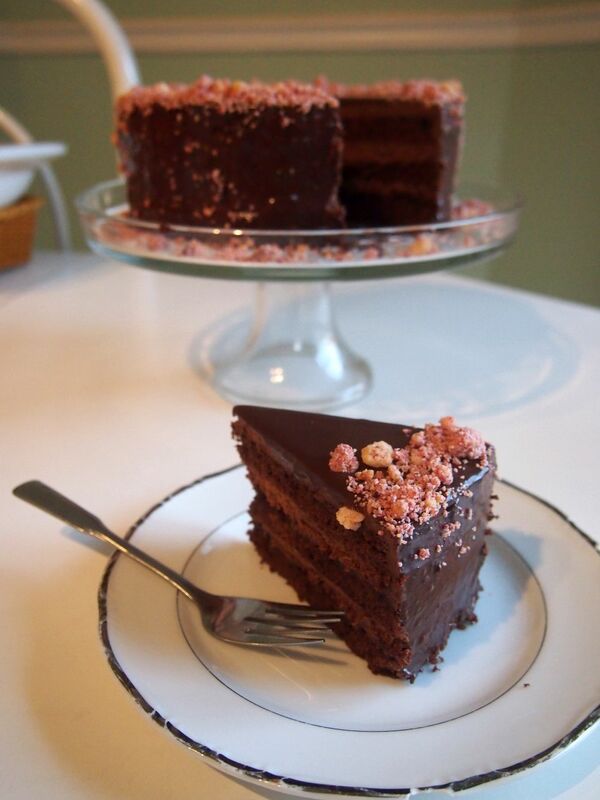 You can make it look a little classier if you use something like…those crisp pearls that Callebaut makes. The little crunchy things covered in chocolate. Knowwhatimsayin? Those things are good. 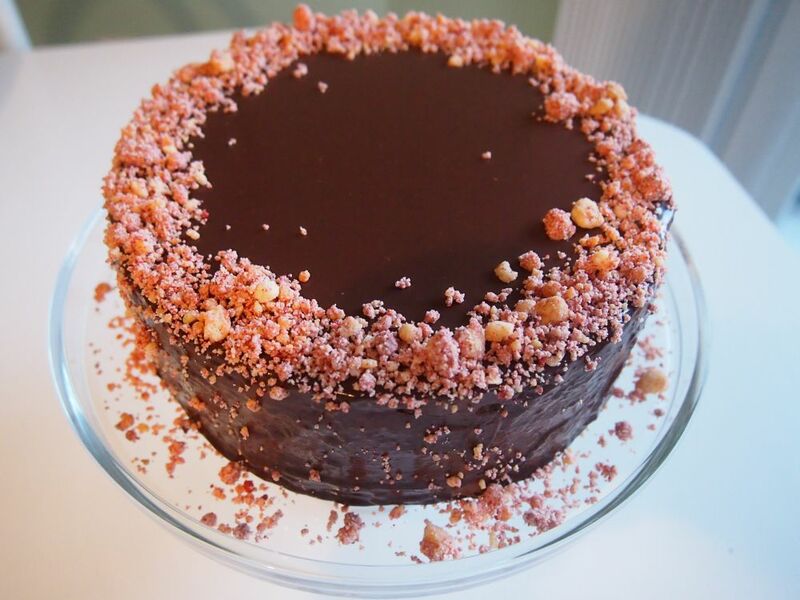 This entry was posted in Cake, Delicious things I think are pretty delicious and tagged cake, chocolate cake, chocolate death cake, chocolate raspberry truffle cake, chocolate truffle cake, ganache glaze, raspberry milk crumb. Bookmark the permalink. OH GOD late response…it’s from the Sarabeth’s Bakery cookbook! ah well ! Never too late =) Thank you !